Usually, when I want to study in a more relaxed environment I go to a small cafe on Penryn campus called Koofi. It’s right next to the accommodation – Glasney Parc, which is very convenient for first year students. Koofi is where you can get something for lunch like a sandwich, homemade pizza, or salad, and this place also serves Starbucks coffee, smoothies and frappuccinos. A great place to study or catch up with some friends over a really good coffee. What’s more, this cafe is open untill 10pm – the only place on campus serving hot food untill late evening. 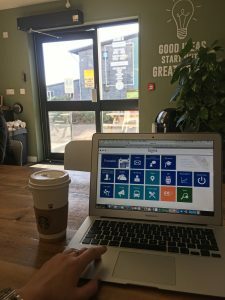 On Tuesday I decided to cover my two favourite places to eat in Falmouth – Good Vibes cafe and Espressini. Falmouth has a big variety of independent cafes which serve fresh and delicious food. As I truly love healthy food and coffee these two places are perfect for me. The people who work there and the atmosphere are amazing, sometimes I prefer working on my projects there instead of the library. 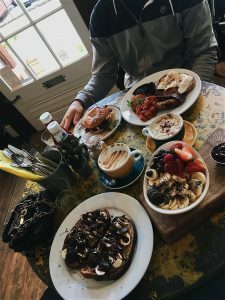 The coffee shops have a variety of food to suit every taste: from small granola bowls and avocado toasts to big english breakfasts for those who love to start their day with a big meal. Coffee to go is another reason why I love these places, I really recommend you treat yourself after a busy day and get a cappuccino from one of these cafes. 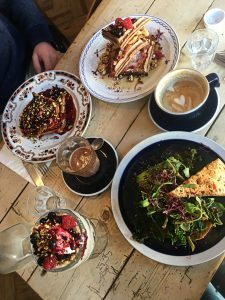 Apart from these, you can find a lot of other cute cafes and fancy restaurants in Falmouth and around Cornwall. Cornwall is a great place for exploring different places and trying new food. Wednesday was my day-off. 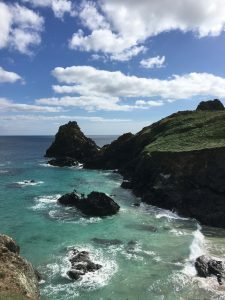 As I had no lectures, and Cornwall surprised with very good sunny weather (it was January 25th), my friends and I decided to visit the most southerly part of England – the Lizard Point. It is only one hour away from Falmouth/Penryn campus by car, and there is also a bus that can take you there. Spectacular views, turquoise water, picturesque landscapes and villages make Lizard Point a must visit area. Cornwall is an amazing place to explore new places and if you love travelling you will definitely enjoy student life over here. On the first day of a weekend I had to travel to Truro where I had the chance to make a small film about this pretty town. Truro is 15 minutes away from campus by train which you can take from Penryn station or the other 3 stations in Falmouth. There you can find more cafes and restaurants, big supermarkets such as M&S, shops like Primark, The White Company, Lush, L’Occitane and others as well as cute small stores. 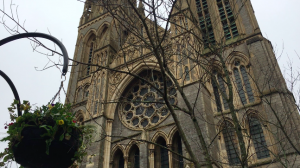 Truro is also known for its cathedral in the middle of the town where all the students have their graduation ceremony. On the last day of my Instagram week, I visited one of the best surfing spots in Cornwall – Fistral beach in Newquay. This beach attracts a lot of surfers every year because of the good waves and Newquay Boardmasters Festival. In my first year I joined Falsurf, the surfing society, but never went on a trip with them which they do almost every week. They usually find 10 people with different level of skills from absolute beginners to expert surfers and go to one of the best spots for surfing in Cornwall. This year I found another way to go surfing without joining the society. 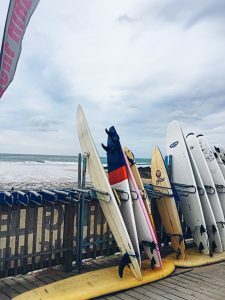 There are a lot of different surfing schools and independent teachers in Falmouth who can provide you with the transport, wetsuits and even a quick lesson for a small amount of money. Another option is to drive to a beach with your friends and rent all surfing equipment there. It was a very fun week as everyone just finished their exams and deadlines were not approaching yet. 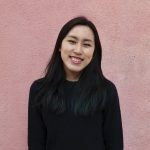 I hope you enjoyed reading about my little insight into a life of a business student of University of Exeter.